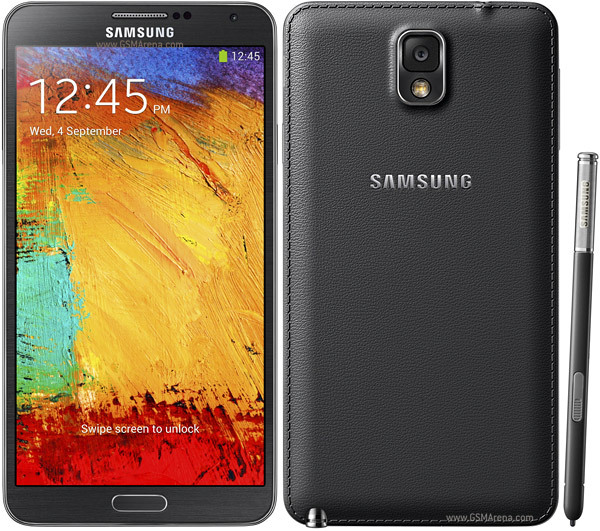 Impressive Features of Samsung Galaxy Note 3 – Worth or not? You are here: Home / Samsung / Impressive Features of Samsung Galaxy Note 3 – Worth or not? Samsung has made a habit of announcing its most anticipated Note series smartphone (in fact phablet) at IFA event every year and this year Note 3 was added to the lineup. Samsung continued to stretch the display size and now its 5.7 inch which is bigger and wider than two previous Note phablets but this time Samsung seems to have learnt from its past mistakes particularly in design. I’m writing down here the impressive features of Samsung Galaxy Note 3 which has been announced in last week. You can read here what all features are there that are going to impress you. The design of Note 3 can’t be stated as unique but its build quality is improved from previous Galaxy devices launched. The complete device is covered by a metallic band spans and at the back there is all new faux leather cover with stitched trim. Collectively, the design and build quality is good and finally a device from Samsung looks luxurious. For the first time, I’m personally impressed by the build quality. It runs on fastest Qualcomm Snapdragon 800 chipset (quad core) which is clocked at 2.3GHz and there has been Adreno 330 GPU too inside to handle the graphics unit. Samsung has increased the inside RAM directly to 3GB which means that how powerful is going to be the normal and graphics performance of the new Note. Also there is 32GB internal storage which can also be further expanded up to 64GB. So it got lots of storage for users too. Display quality of Galaxy S4 was really best and Samsung has used the same in Note 3 as well. It features 5.7 inch display which is added on Super AMOLED panel and the resolution is set to 1080×1920 pixels. So the new Note features a full HD display. The rear camera is now 13MP which is not only capable of recording full HD videos but also 4k quality videos. This feature isn’t going to be used much now but if you got a TV set supporting 4k format then you’re going to like this. Yes, Note 3 runs the latest version of Android i.e. Jelly Bean 4.3. The newer version though not got a lot of new features but it’s got lots of improvements in performance, smoothness and battery life. Samsung has also added a new feature just like BlinkFeed that was announced with HTC One. Users can simply swipe up on the home screen to go through all latest and top stories. There is Samsung’s skin added on the Android base and now the software seems more matured than earlier. Samsung wants to make it easier to do common things which people prefer doing with their Note and in this scenario S Pen comes in. All new symmetrical S Pen is the main weapon for the Note 3 users and it has been improved too. Once you take out the S Pen from its holder beneath the device then its software starts working and you can do a lot of things with action memos. You’ll find Action Memos, Scrap booklet, Screen Write, S Finder, and Pen Window options when you start using the S Pen. You can watch the official video by Samsung in which they have enlightened the main features of Note 3. Samsung Galaxy Note 3 worth or not? This is going to be question in mind of most of the users now as Samsung seems to be losing grip in the market but Note 3 is definitely worth. Samsung has been good with the Android software and battery life but the only bad thing was the design which not in the case of Note 3. According to me, Note 3 is worth and if your life needs a phablet and its comfortable for you to handle a 5.7 inch giant smartphone then you should buy it.